On Dec. 12, 2010, The New York Times published an opinion piece entitled “Drawing a Line in the Water.” It caused a commotion, in part because of its simplistic and inaccurate approach to a complex problem. 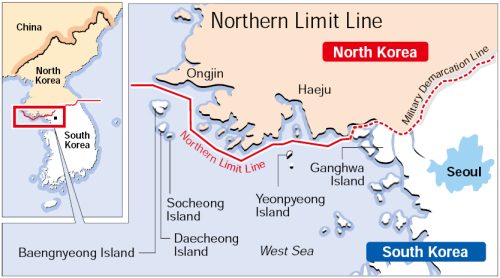 The thrust of Selig Harrison’s argument in his op-ed was that there was an inequality in the manner that the Northern Limit Line has established a maritime boundary that economically disadvantages North Korea. He says the way to stop North Korea from acting out is to change the line. The solution, according to Harrison, is for the United States to unilaterally redraw the NLL, moving it slightly to the south. While Harrison does not suggest precisely where this new line would be, his premise is that if Pyongyang believed the new line were more equitable it would cease its provocative and dangerous behavior. The idea that the United States, because of its leading role under a United Nations mandate during the Korean War, could redraw the North-South maritime boundary without South Korean input is like suggesting the United States could unilaterally respond militarily to North Korean violations of the armistice without listening to the South Korean people. One of the more absurd statements in the Harrison piece is how he would enforce the newly redrawn maritime boundary. He says confidently that future North Korean provocations would result in swift retaliation by the joint forces of the United States and South Korea. The point is not where the line is, it is the violation that should provoke consequences. Why then does Harrison not call for retaliation to recent North Korean violations of the existing line? What he has done is call for positive economic reinforcement to North Korean military aggression that killed 46 sailors in the sinking of the Cheonan and 4 South Koreans in the shelling of Yeonpyeong Island. In an even more bizarre suggestion, Harrison pulls from his past and invokes the name of North Korean retired general Ri Chan-bok as an authoritative voice of reason. Ri Chan-bok was the face of the North Korean military at the DMZ for forty years. He was never the North Korean military’s principal spokesman and in my own discussion with him, he never really appeared very knowledgeable of military matters. The reality is that the NLL has been in place since 1953, and while the North Koreans have never openly acknowledged it as the maritime boundary, it has practically functioned as one. The fact that the line does not extend directly west from the land demarcation line has nothing to do with depriving North Korea of lucrative fishing areas, but everything to do with the protection of South Korean territory. At the end of hostilities in 1953, South Korea controlled the five islands that are north of an imaginary westerly extension of the demarcation line. The only practical method of assuring the security of South Korean citizens on those islands and the territory itself was to draw an artificial line north of the islands equidistant between them and North Korea’s coast, while assuring that North Korea maintained at least three nautical miles of territorial waters that was the international standard in 1953. The alternative to a northern line that permitted South Korea uninhibited access to its territory (the five islands), would be isolated dots of South Korean territory in North Korean waters which would require obtaining North Korean approval for South Korean access. We have a recent example of how that model works: the Gaeseong Industrial Complex. For political reasons, North Korea has, on multiple occasions, restricted South Korean access to Gaeseong and its citizens. It is important to remember that North Korea has not endorsed the Harrison shifting of the NLL, but rather has called for the abolishment of the line altogether and a direct westerly extension of the demarcation line that would prohibit South Korean military vessels altogether from the area and require South Korea to get permission for civilian resupply ships to reach the five islands. Why would the five islands fare any better than Gaeseong under this scenario? The reality is that South Korean territory is north of an arbitrary extension of the demarcation line. Remember that a demarcation line is nothing more than an artificial line equidistant between opposing forces. That same theory should apply to the five islands in question. The natural extension of the demarcation line should follow what is the NLL ― whether it is “economically equitable” or not. The NLL has been the effective and practical maritime boundary for nearly 60 years. At a time when North Korea cooperatively sought to reduce tensions with South Korea, it agreed that “The South-North demarcation line and the areas for non-aggression shall be identical with the Military Demarcation Line provided in the Korean Armistice Agreement of 28 July 1953, and the areas that each side has exercised jurisdiction over until the present time.” (Article 11 of the 1991 Basic Agreement). The spirit of the 1991 Basic Agreement and the reality of the effective line of separation should remain in force until the two Koreas mutually agree to change it. 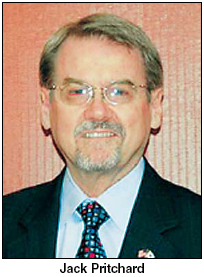 Jack Pritchard is the president of the Korea Economic Institute, the former U.S. special envoy for negotiations with North Korea and a retired U.S. Army officer. ― Ed.